Steve Plater’s 100mph crash that left him with a broken arm, intermittent drizzle and controversy over the qualifying times combined to mar Thursday’s final Superbike qualifying at the North West 200. The eight-times NW200 race winner crashed the HM Plant Honda in the left-hander at Quarry Hill, in view of the pit lane, and both he and the bike cleared the roadside kerb, smashed through the safety barrier and came to rest down the grassy bank on the outside of the course. Plater’s arm injury is due to be plated tomorrow but he is out of the NW200 and his TT - only two weeks away - must be in serious jeopardy. The final superbike qualifying had been interrupted by rain and the remaining portion of the session was run after 125 qualifying. Plater’s crash happened with ten minutes left in the session and initially brought out yellow flags, allowing a bunch of riders to complete flying laps but some riders were still on their hot lap when the red flags swiftly followed. Keith Amor led the charge, topping the timesheets with a 4m 35.56s lap on his KBMG BMW- essentially a superstock S1000RR with the traction control optional extra that road-going riders can buy. Conor Cummins was second on the McAdoo Kawasaki and Guy Martin completed the front row on the Wilson Craig Honda in all its red and silver retro glory. Martin had crashed his superstock bike in the first session of the day at the chicane when he clipped the kerb. 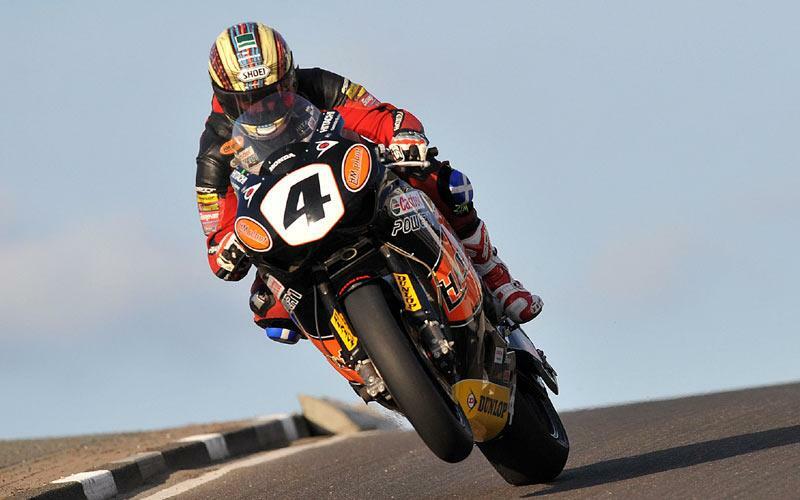 Michael Rutter was fourth quickest – also on a superstock BMW! His Ducati was parked up for the weekend after a major engine blow up on the first lap of Tuesday’s practice. But the combined times, taking into account Tuesday’s qualifying (but disregarding Plater’s sensational 4:32.6 since he is sidelined by injury) should put McGuinness on pole with the HM Plant Honda with a 4:35.02, from Amor, Cummins, Stuart Easton (4:35.7 on Tuesday),Martin, Rutter, Michael Dunlop, Alastair Seeley and Ryan Farquhar. The emphasis is on should because some of the riders who didn’t get to complete their flying lap due to Plater’s crash appealed to the stewards and the situation is due to be resolved on Friday morning. If the situation had happened in a short circuit meeting the issue would not exist since it’s down to the competitor to ensure he’s on track when the lights turn green but at the North West, the riders are set off from the grid in waves as a safety measure. And, under such a system, the riders argue it’s not fair that they didn’t get a full flying lap and want those that did to have their final lap times discarded. Tuesday’s session was cancelled after an oil spill at Station Corner caused a lengthy delay, meaning everything hinged on Thursday’s session to decide the grid. Conor Cummins and Ryan Farquhar made it a Kawasaki 1-2 with the Cummin’s McAdoo grabbing pole by 1.43s over the KMR privateer. Keith Amor was third on the BMW, from Relentless by TAS Suzuki’s Alastair Seeley, the race winner for the past two years. Michael Dunlop topped the Supersport qualifying on the Street Sweep Yamaha from Kojak Honda-mounted Keith Amor. Plater was third quickest so Ian Hutchinson will move up to the front row with the Padgetts Honda. Bruce Anstey, fastest on Tuesday with the Relentless by TAS Suzuki, didn’t appear to want to ride his 600 in the final session, according to his team. He’d lost a contact lens and received a painful whack on the arm from a big stone thrown up by the rear tyre of a competitor in front of him during the superstock session.